This is as grown up as I get! I’m a fifth generation Californian, having had a German great great grandfather sail into Monterey Bay in the 1840’s, where he settled and remained all his life. Most fortunately, by the time I was born, his granddaughter (my grandmother) still owned a small piece of sand in Pacific Grove, with a redwood cabin perched on the crest of a dune, overlooking the ocean, about an eighth of a mile away. We spent lots of holidays at the cabin. The ever fascinating tide pools and incredibly white sand dunes of Asilomar were the best playground an adventurous girl could ever have. I credit much of my imagination and intrepidness to what I see now as a sort of half feral childhood, when I was allowed to head out the door, and no one was going to worry unless I didn’t make it home for meals. It was rare back then to see anyone else along that stretch of the coast, but I loved the solitude. Our main home was in Palo Alto–long before it became Silicon Valley. At that time it was a quiet community set along San Francisco Bay to the east, and the Santa Cruz Mountains to the west. 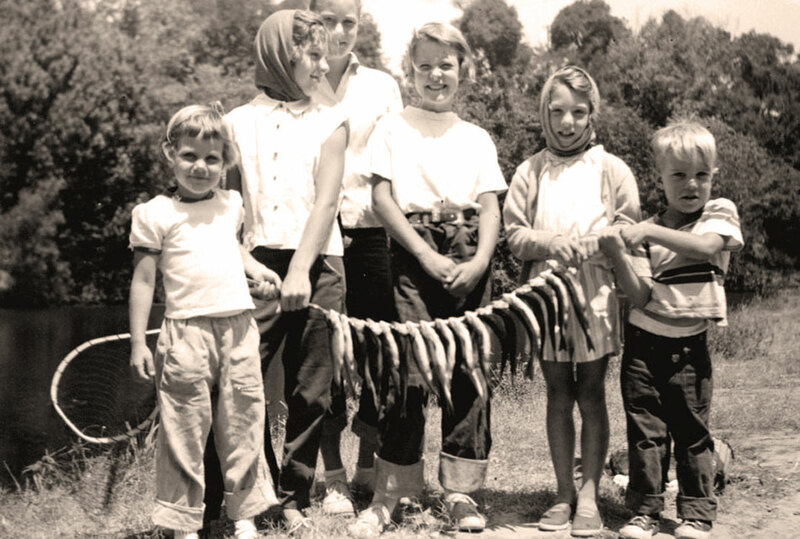 My father was a great outdoors man, and his tendency was to let me run wild in the hills and coastal areas of central California while he was otherwise occupied by his fishing rod. All of which dismayed my mother. Growing up in Worcester, Massachusetts, daughter of Russian immigrants, she was definitely NOT an outdoors kind of woman. She did, however, dance a mean and spirited polka, and loved the accordion. Not that we had one, or that I played one. No one in my family saw that coming. Guitar, yes. Accordion, not in your craziest dream. 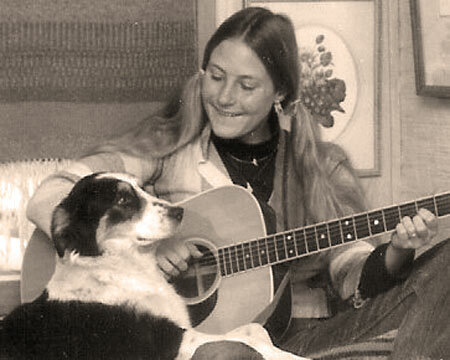 The rock and folk music of my older sister’s record collections filled my ears. We danced to American bandstand and sang all the harmonies. At any rate, between dancing polkas and exploring mountains, lakes, creeks, and oceans, I thrived. Aside from ten years in Alberta, I’ve lived all my live in Northern California. 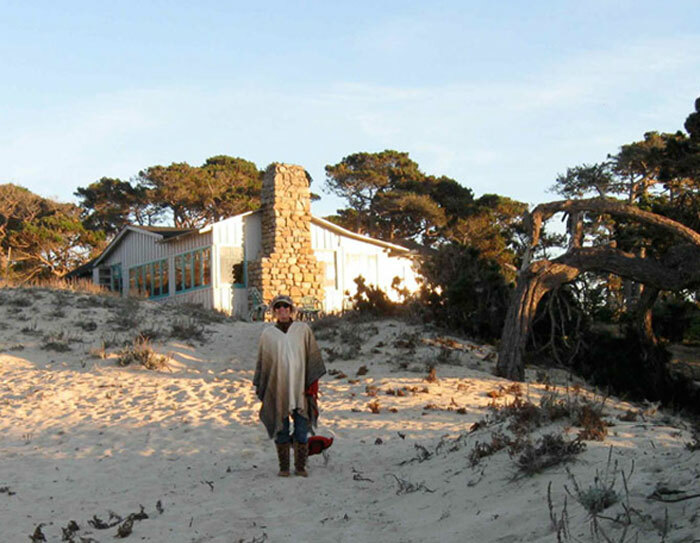 Asilomar is a photographic and musical memorial to a beloved family retreat, and a testament to the power of love. The cabin was (and still is, although abandoned) in Pacific Grove, CA, on a crest of the Asilomar dunes overlooking the Pacific Ocean. Fortunate to have it in my family for nearly 100 years, the sweet cabin was lost to us a few years ago after some particularly dark elements of human nature reared their fearsome heads. Love was taken for granted, and as a result, chaos reigned. The cabin was lost to us. Somehow we moved on. I am so very grateful for all the years that were given to us to enjoy the cabin, and all of its considerable charms: that my two sons were able to spend many days of their youth there; for the thousands of meals cooked in the quirky kitchen and shared around the dining table; for the warmth and spectacle offered by that massive fireplace; for the deer that would come dancing up the sand dunes and stop to stare in the windows; for the sounds of ocean which filled each room, as well as the rowdy caws of crows, and ringing seagull cries; the blustery salt tinged winds which would bring tears to our eyes; for the scent of pine, cypress, salt, seaweed, and sand; for the views of the oceans, sun glittered, fog covered, storm thrashed; for the spouts and fins and tails of the Gray Whales; for the love everyone felt when they walked through those fragile glass-paned front doors; and, for the sheer romance of the place! It was incredibly difficult to lose. So, I wrote a song about it, as is my habit. Which then led to this project.